If you want your brand to be visible from a little further afield, we usually recommend the use of pylons and pole signs. 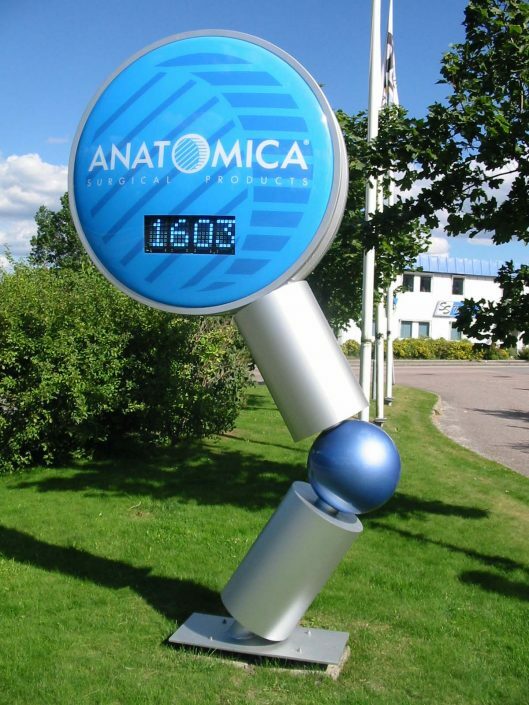 Pylons and pole signs help your customers and visitors to identify you and to find their way around. 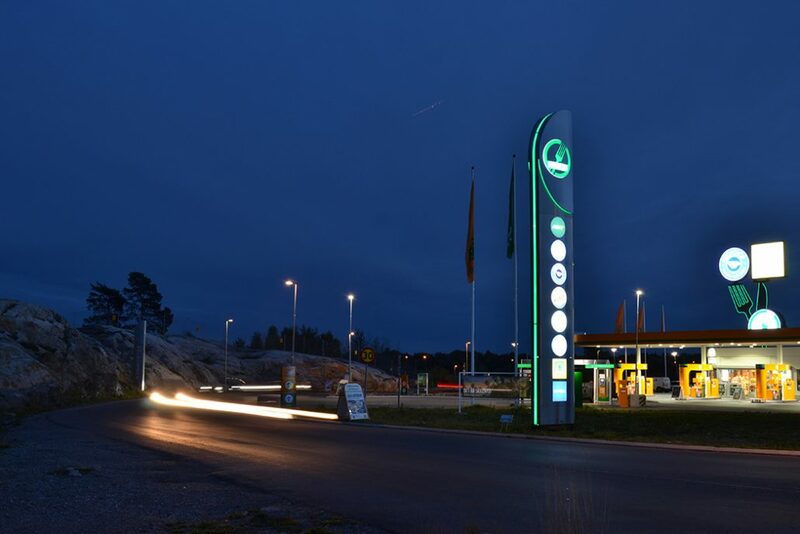 Common to these signs is the fact that they are all stand-alone signs that can be illuminated from the inside, be switched on or left off, and that the fixing is usually done in a cast concrete foundation, which is buried under ground.Pylon signs are normally used for directions or as a welcome message. 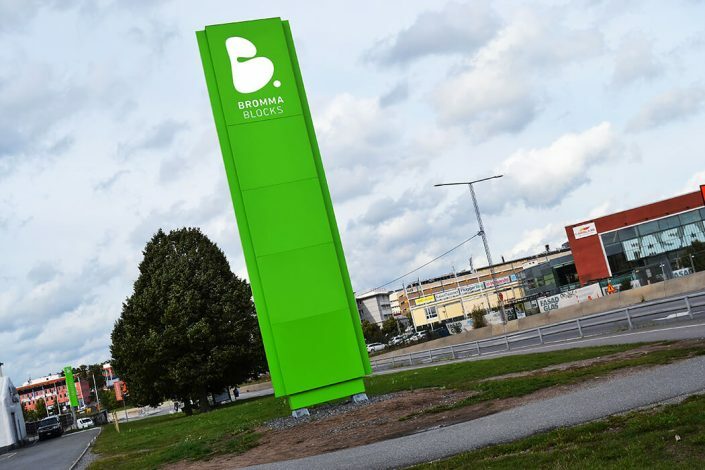 This type of sign is usually positioned near entrances to offices or at business parks, where many logos are to be displayed on the same sign. 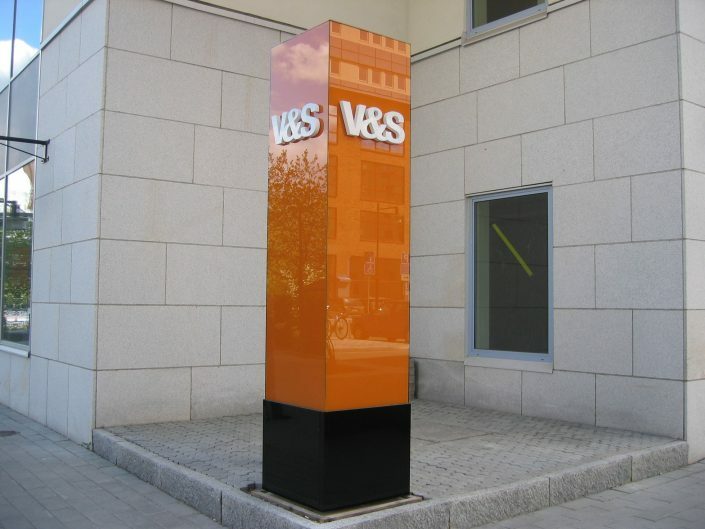 In the gallery below, we show examples of different pylons and pole signs that we have produced for various customers. 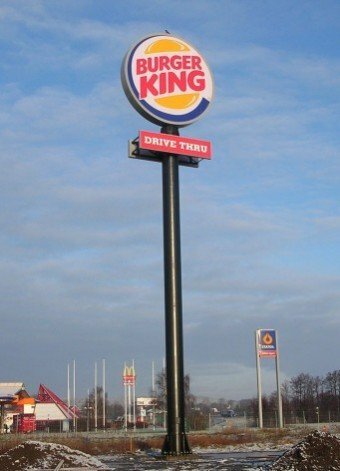 You can find similar examples of large signage masts under the heading Signage Masts..
Stand-alone signs outdoors generally require planning permission as well as a secure and robust construction for withstanding all weather conditions. There is an endless variety of designs, and we will help you to customise your sign according to your circumstances, needs and wishes. 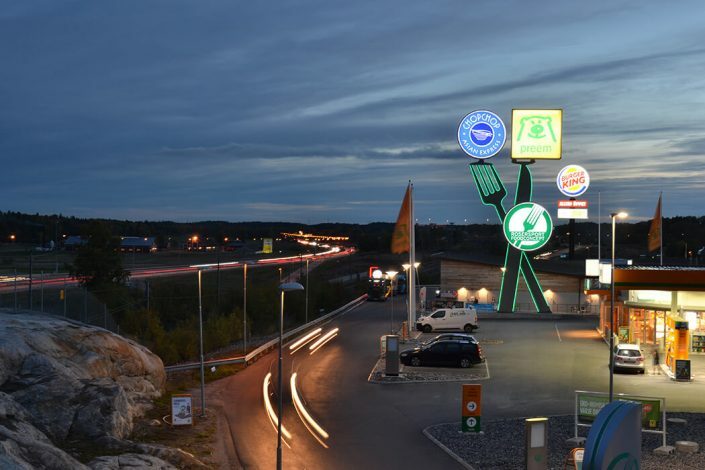 FocusNeo has long experience in the project management, design, construction and installation of pylons and pole signs and we help many of Scandinavia’s leading restaurant chains with their profile and maximum visibility. Please contact us if you would like to know more about how we work with visibility and construction, or to get a quote. We look forward to hearing from you! VILL DU VETA MER OM HUR VI ARBETAR MED SYNLIGHET OCH KONSTRUKTION ELLER BOKA ETT MÖTE?